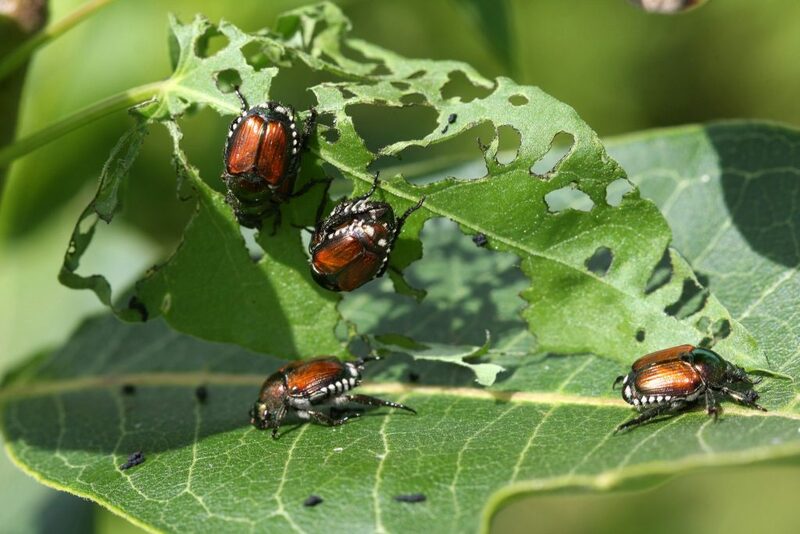 How do you know if you have Japanese Beetles? You’ll see damaged plant material, often on rose bushes, flowering plants, and ornamentals. You’ll see leaves that look like a doily/netting as these very hungry insects eat leaf tissue around the vein structure. If you are seeing the damage already, the best treatment at this point in the season is a topical spray. While it might be too late this year, consider acting early next year with a lawn application that gets into the root and kills grubs as they snack on the grass before they transform into those pesky beetles.